Come through this Sunday, September 14th to ‘Love Our Lake Day’ 2014, an annual event to celebrate the centerpiece of Oakland: the wonderful Lake Merrit. Sunshine, good music, good cheer and good food all around the lake. Now Off-the-Grid with Pedal Power! 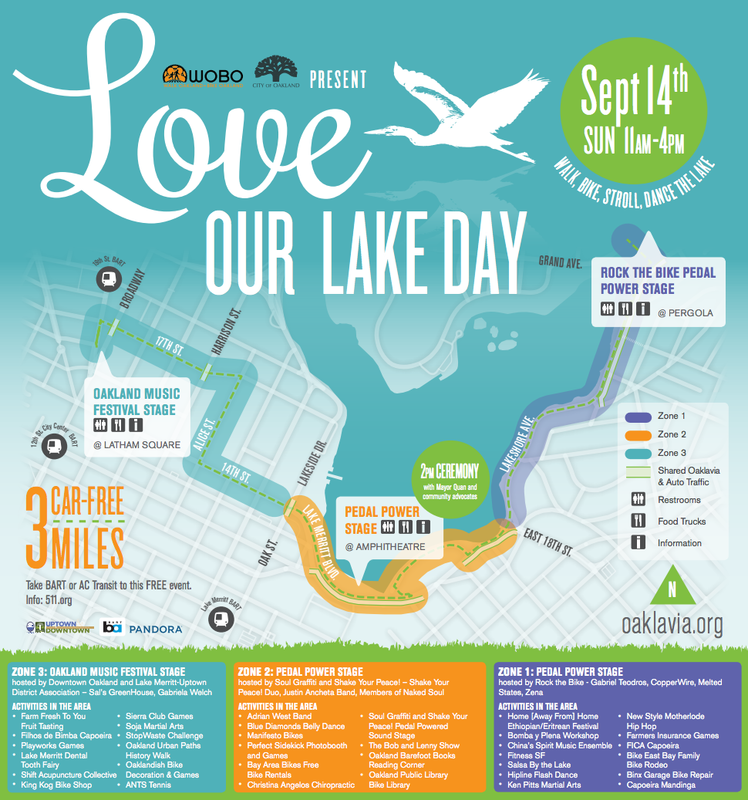 This year, we are putting on an extra-special love Our Lake Day: both sides of the lake will have pedal-powered stages. That’s right, TWO stages featuring completely off-the-grid music. The only way music gets heard is if people power the stage with our special pedal-power bicycles. Come lend us your star power!